Hey Bob, Merry Christmas down under. Love the picture!! Thanks Bob and merry Christmas to all of the ARM family. Merry Christmas, and Happy New Year to ya'll!!! Everybody....and I mean Everybody....Have a Great Christmas and the best damn New Year since Danny (bleapin) Kaye tap danced on Bing Crosbys (bleapin) forehead!!!! Merry Christmas to the ARM family! Thank you all for making this the coolest site around. Facebook might have slowed the traffic here a bit, but at least there is no bickering, drama, or BS going down here (like on FB), just WONDERFUL memories and stories! A great place to keep coming back to! 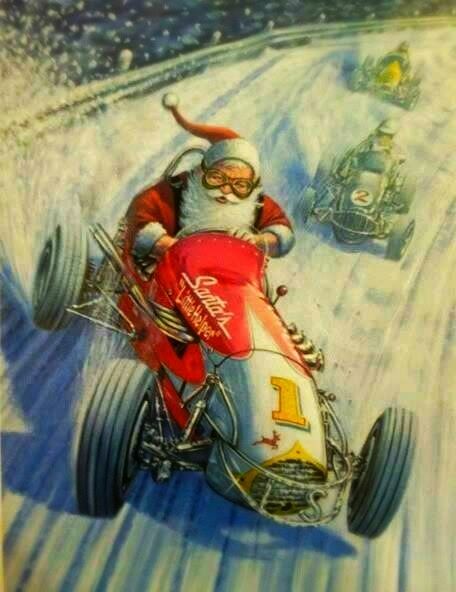 Merry Christmas to the greatest group of racing historians on the planet.